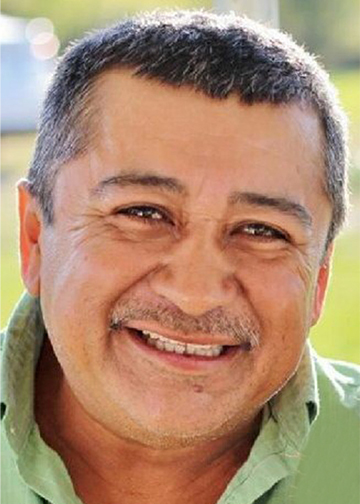 Raymundo Garcia Guerrero, 52, of Winnie, died Monday, March 25, 2019, at Baptist Hospitals of Southeast Texas, Beaumont. He was born on August 6, 1966, in Toluca, Mexico, to Soledad Guerrero Garcia and Eduardo Garcia Mendoza. Survivors include his wife, Teresa DeJesus Rodriguez Richard; and sons, Alan David Garcia and Andres Rodriguez Richard, all of Winnie; mother, Soledad Guerrero Garcia; two brothers; two sisters; and numerous other family members and friends. A gathering of Mr. Guerrero’s family and friends will be from 4:00 p.m. until 6:00 p.m., Thursday, March 28, 2019, at St. Louis Catholic Church, 315 Buccaneer Drive, Winnie. A Mass of Christian Burial will be celebrated at 10:00 a.m., Friday, March 29, 2019, at St. Louis Catholic Church, with his interment to follow, at Fairview Cemetery, Winnie, under the direction of Broussard’s, 134 West Buccaneer Drive,Winnie. I’m so sorry for your loss!! Praying for comfort and peace during this difficult time!!! !